Ivrnet, Inc. is a software provider with a uniquely deep understanding of voice and data applications, solving business problems through improved communication and automation. Ivrnet's headquarters are in Calgary, AB, Canada, with clients throughout North America. Ivrnet chose Mojo as their marketing partner in 2017. Our first challenge was to start writing meaningful, educational content with a strategic aim of growing organic search traffic. By creating pillar content targeted at a main sector, PCI Compliance, we were able to increase traffic and contacts dramatically in a short period of time. 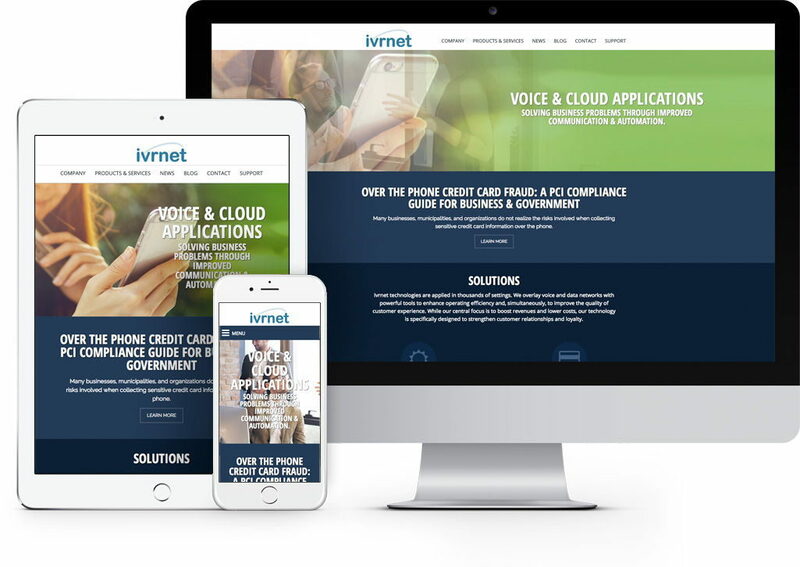 We identified the topic of PCI Compliance as a strategic content opportunity for Ivrnet. We built out a series of blog posts, linked content, and a pillar page around this topic. In a few months time, Ivrnet reported that this particular piece attracted the attention of a major organization in the States. Attracting and closing a new customer is the ultimate win for any marketing program, and Ivrnet was thrilled to see this kind of result in such a short time. In one year, the results of our growth program—consistent blogging, social media, website optimization, and strategic content and lead capture systems—speak for themselves. Most businesses would be thrilled to see a traffic-to-new contact rate of almost 5%, and a new contact-to-new customer rate of almost 5.5%. These numbers surpass industry benchmarks and the coming year promises to be even better. With a new website on the horizon, we're excited to see impressive growth for this client in the near future.